Only feed the human guests: Guests might enjoy all your holiday baking and cooking, but pests like it too. Keep all your dry ingredients stored in tightly sealed containers. Watch out for cookie crumbs or food items that fall on the floor, and sweep them up immediately. Mind your trash: With all the holiday fuss, it feels easier to just toss the trash aside and worry about it later. Then you go out and discover that mice or rats are having a feast on your leftovers. Wrap all discarded food items, securely close trash bags, and make sure lids are on your garbage cans. Look what the guests brought in: Sometimes guests bring a few extras that you weren’t counting on. They might bring pets with fleas, bedbugs, or spiders that have hung out in suitcases since their last trip. Conduct a thorough inspection after your visitors have left, to make sure they didn’t leave any pests behind. 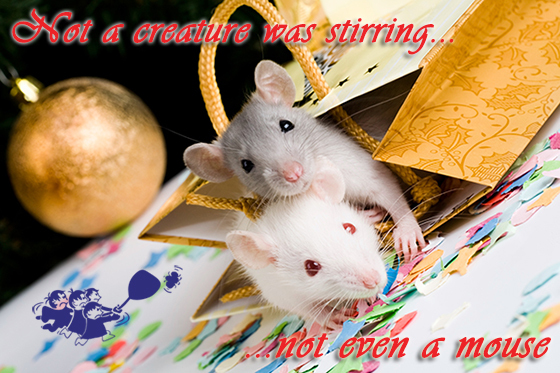 Watch those decorations: We usually store our holiday decorations in basements, garages, attics or crawl spaces – all areas where critters and rodents like to hang out, too. Dust everything off and look for signs of infestation before you start bringing boxes into the house. Live decorations: One of the dangers of bringing the outdoors inside for the holidays is that we don’t want all of Mother Nature invading our house. We love the smell of real Christmas trees, and enjoy sitting before a crackling fire, but ants, ticks, spiders, and other pests are frequently brought right into the home along with the tree, wreath and firewood. Check everything outside and shake off any live greenery to evict any hidden tenants. 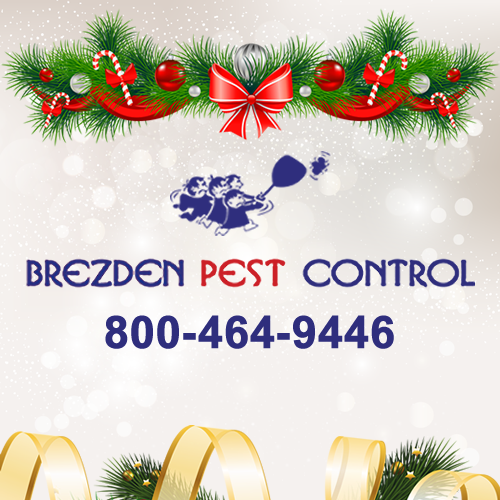 If you need home pest control during the holidays, don’t get the run around – keep the Brez around. Brezden Pest Control is starting our 37th year of providing superior pest control service in the San Luis Obispo county area. 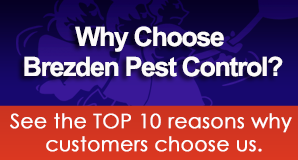 Whether your home needs bird control, rat control, or dead animal removal, call us at 1-800-464-9446 to schedule a pest inspection. Merry Christmas from the Brezden Family! A CHRISTMAS STORY: December 4th-25th, 2016 – Celebrate the holidays at the Little Theatre! Join Ralphie Parker on his quest for a genuine Red Ryder BB gun and make this funny, heartwarming, nostalgic bit of Americana part of your family’s annual holiday celebration. SANTA’S HOLIDAY HOUSE: December 4th-25th, 2016 – Come visit Santa Claus in the Downtown Park and take your picture with him! Hours posted on the Holiday House. CHRISTMAS DAY AT MADONNA INN: December 25, 2016 – Tis the season for merriment and joy! Celebrate the holidays with a succulent meal with friends or family. Special holiday dinner including Roast Ham, Turkey, or Duck, along with savory sides and fresh rolls is 39.95 for adults, and 24.95 for children. Classic entrée favorites also available, including lobster, filet mignon, salmon, and chicken. Vegetarian options also available. NEW YEAR’S EVE CELEBRATION AT MADONNA INN: December 31, 2016 Ring in the New Year with live music, dancing, glass of champagne, festive party favors, midnight balloon drop and a spectacular prix fixe menu. First Seating: 5:00 p.m. to 6:00 p.m. Second Seating: 9:00 p.m. to 10:00 p.m.